Price: $1,000 uncolored, $1,150 colored. 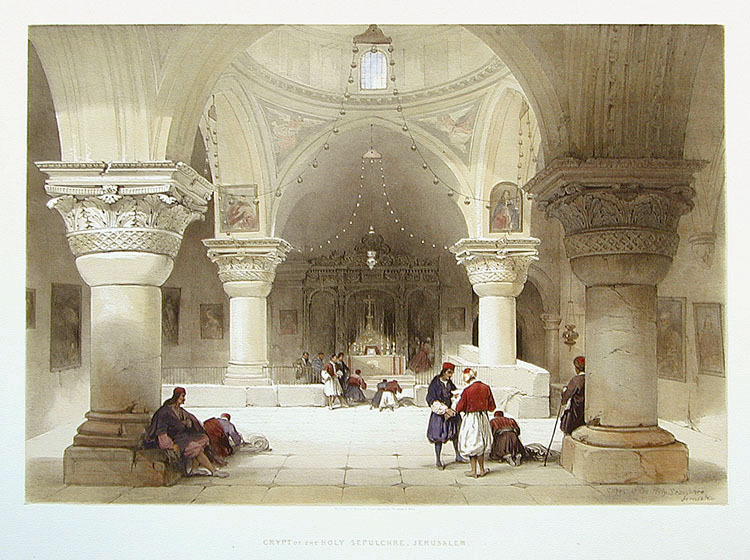 Title: Crypt of the Holy Sepulchre, Jerusalem. Image: Approx. 12 15/16" x 18 15/16"